This is a brand new DPMS A-15 rifle fires the 5.56mm/.223 round. It has a 16" barrel with an overall black finish. This semi-auto rifle has a flat tactical rail top picatinny rail along with a gas block rail. 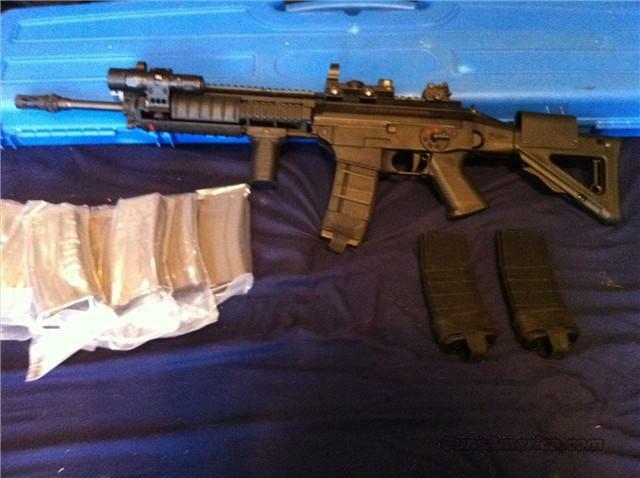 It comes with a collapsible stock,red/green dot target zoom scopne and two 30 round magazine. if you have any question please feel free to contact me at .